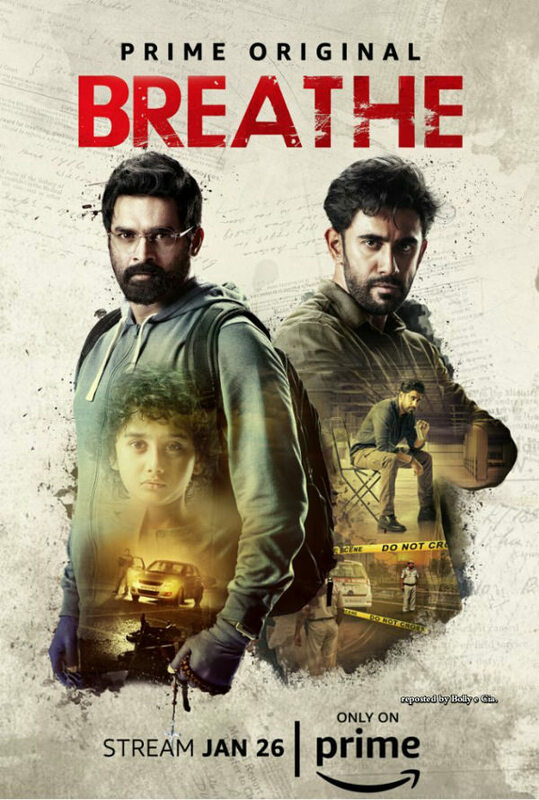 Amazon Studios continues their foray into Indian TV series, with their latest thriller, 'Breathe'. The show is just as interesting as their first Series ‘Inside Edge’, (our full Review here) and definitely makes use of the long form storytelling that episodic series offers. A great cast and story makes 'Breathe' an interesting watch on all fronts. 'Breathe' is a riveting thriller that looks at the desperation of a father, while treading a fine line of (relative) realism. ‘Breathe' is the story of Danny, (R. Madhavan) whose son suffers from a congenital lung disease, and whose time is short without a transplant. Unfortunately for Danny, the donor list is long and the chances of his son surviving to see his 7th birthday, are slim. It's heartbreaking, but the show never milks this plot point for unnecessary sympathy. On the other hand, there is an alcoholic police officer Kabir (Amit Sadh) who has yet to recover from the death of his daughter, throwing himself into his work, to his own detriment. 'Breathe' showcases the lengths that a desperate father will go to in order to save his son, as Danny decides to take matters into his own hands and move his son up the donor list. And while the series shows how an ordinary person strays into the wrong side of the law, the progression is subtle, and Danny is continuously humanized despite his pretty immoral actions. Writer and director Mayank Sharma is careful not to show Danny as a larger than life superhero, or criminal mastermind, instead showcasing the transformation of the main character as an everyday man, falling prey to this own justification of his actions. It's a unique viewpoint on a familiar character archetype. R. Madhavan is wonderful in this regard of portraying a loving father who commits heinous acts, while retaining his humanity and mild mannered persona, making his significance to the story that much more impactful. 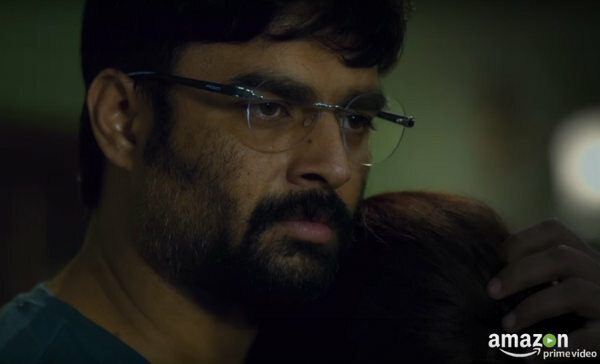 Madhavan has shown immense growth in the last few years, and is able to carry ‘Breathe’ using his own inherent charm, but also with a lot of maturity as an actor. While Kabir's story arc is on the other side of the spectrum. With his life in shambles, Kabir is constantly reprimanded and chastised for his behaviour as a police officer. However, his investigative instincts return to focus as he begins to investigate a string of unrelated crimes, that have something very dark in common. Sadh has had a lot of impact within the industry with supporting roles in movies like ‘Sultan’ and ‘Kai Po Che’, and has been on an impressive career track. ‘Breathe’ allows Sadh to lead a series, with all the qualities of a tragic hero, making use of range that he hasn’t been given the opportunity to explore prior to in Bollywood. The show also is incredibly well done with elements that are logical and aren’t dumbed down for audiences. The police investigations and homicide aspects are treated with incredible intelligence, which is refreshing for an Indian production. While the show also features elements of police corruption, it doesn’t allow those elements to distract or sidetrack from the larger story being told. Ultimately, ‘Breathe’ is a story of redemption. A father who crosses the boundaries of humanity in order to save his son, while a police officer has to come back from those same depths in order to save himself. Director Sharma makes full use of the episodic format to keep each episode engaging, and creating long story arcs that are given enough room to grow and impact the audience organically. ‘Breathe’ is an innovative thriller, that is anchored by strong performances by not only Madhavan and Sadh, but a supporting cast that is just as great. ‘Breathe’ is a must-watch for audiences that are fans of Hollywood-style cable series, featuring originality and long term storytelling. The show is a new form of Indian TV Series that are a far cry from the formulaic and melodramatic family drama. Movie Review: ‘PAD MAN’ (2018) – A Socially Relevant And Heartwarming True Story!